The Borough is a symbiotic urban ecosystem nested in the landscape that hosts it. The Borough is a new typology of city, a new life-style. It is the result from reflecting about the cost of our current lifestyle and its effects on the planet in which we inhabit. 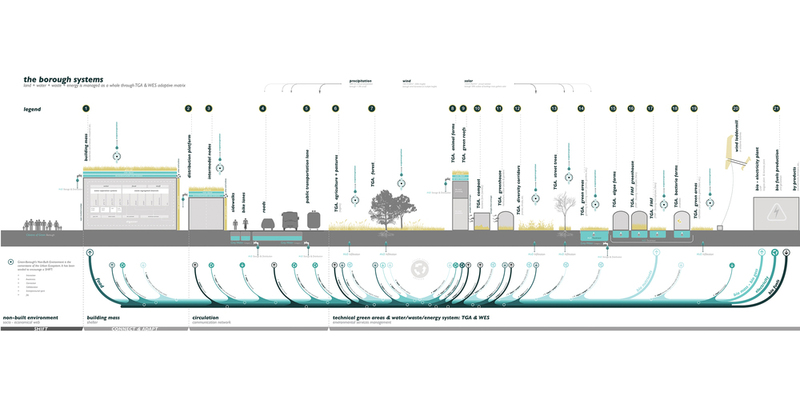 The Borough is a new form of planning urban settlements where land, water, waste and energy are managed as a whole through an adaptive environmental services matrix. It has been planned from the holistic landscape planning framework using environmental load as the cornerstone of the process. 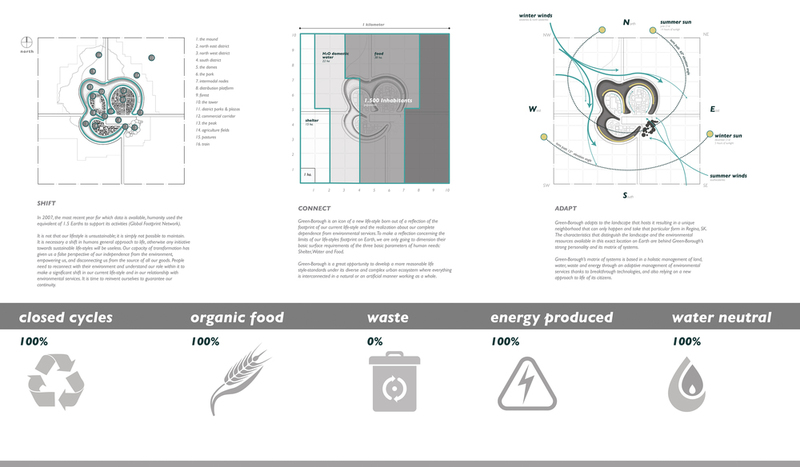 Therefore, climate zone, geographical location and culture impact the design significantly. For that reason, The Borough’s appearance is dependent on the landscape that hosts it. The Borough at Regina, SK.